Sometimes the true birding bug hits me, and I get some crazy idea that getting up at four in the morning might be fun. Getting out of the house by 4:30 a.m., I headed east to Ocean City Inlet, Maryland. There have been some exceptional reports of bird sightings there and I was excited about seeing some new birds. Spending about four hours birding the Inlet, I turned the car and headed back west. A special stop was planned mid-way at Cambridge, Maryland. I had heard of “The Wall of Shame” in Cambridge. 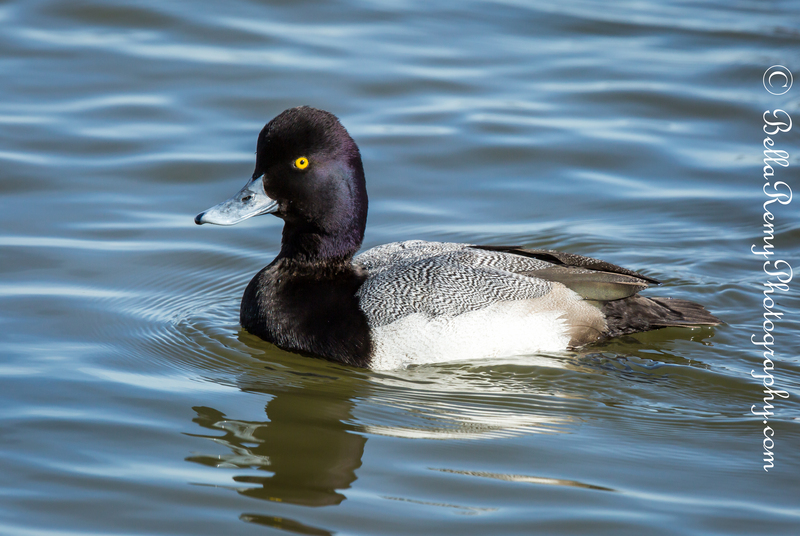 It is a place that bird photographers go to take fantastic images of wild ducks. At the end of Oakley Street there is a cement barricade and on the other side is some rip rap with a variety of ducks hanging out waiting for an easy feed. See, the ducks are used to photographers coming and throwing them corn or other types of duck food. It’s a win-win situation. Ducks get fed, photographers get fantastic pictures. Today, there were four variety of ducks on site. Mallards, Canvasbacks, Lesser Scaup and American Wigeons. Throw some corn in the water’s edge and watch the frenzy. Close ups of these wintering beauties are actually challenging because it’s hard to get just one duck isolated. Before I found the place to go, I stopped at the lighthouse and asked two construction workers where “The Wall of Shame” was. They laughed, and said they weren’t local and had never heard of it. Luckily, by following the water’s edge I was able to find it. It didn’t take long to get some great pictures, but we’re hitting a deep freeze tomorrow and I’m thinking of heading back there to get some “Ducks on Ice” images. For now, enjoy one of my favorites from this stop. Oh thanks for the reminder. I gave my can to another person who was staying at the wall after I left. Thank you so much! Fantastic ducks! They look surreal. I know..they really are interesting ducks. Thanks Perpetua. These are gorgeous. I don’t believe I’ve ever seen a Wigeon. Aren’t they cool? BTW, you’re in DC right? They found a Snowy Owl on the CVS awning on K street today. Really?? That is incredible. I am in DC. I will have to be more vigilant in my urban birding! So those are the secrets to great waterfowl photos, corn and sunshine! You got it ! Corn, corn and more corn. 🙂 Wish I could help you with the sunshine. Got any yet? Nice shots, and I really like the first image of the pier. Great seeing these cool ducks! Not only are the bird images perfect, the featured image is amazing! You are so sweet Cynthia. Thank you so much! 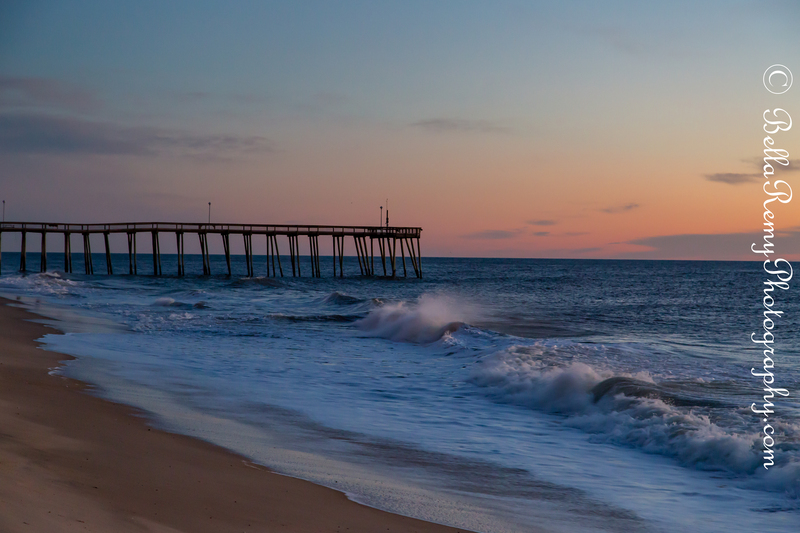 The colors in the image of the pier are striking, especially where the water meets the waves. I am definitely enjoying your photos from that stop. 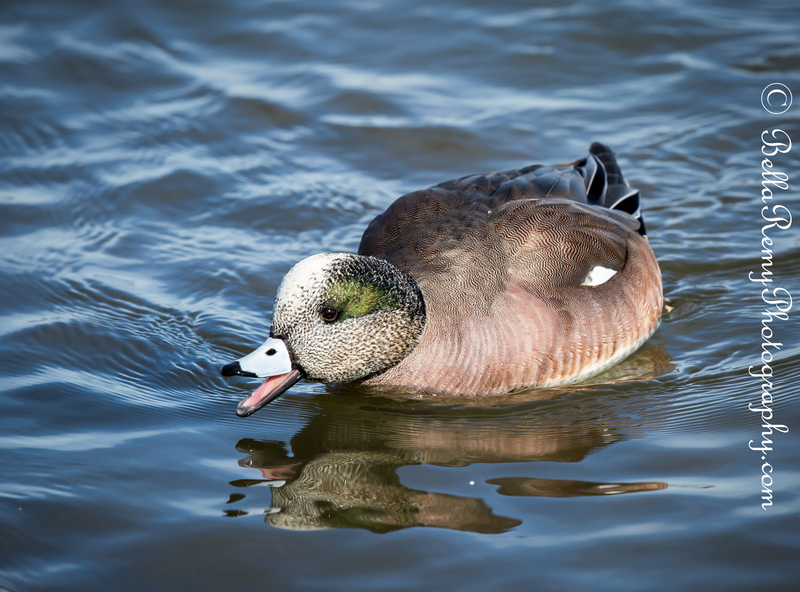 I’ve never seen a widgeon and they are so cute! Lol. I think of the group they are my favorite although you captured those crazy eyes of the canvasbacks very well. Bring them a special treat and lure some off! Oh wait, that’s near impossible with ducks. You did well to catch them amidst the frenzy. You’re encouraging me further to go to a “duck/goose” friendly park AND NOW I’m thinking to bring some treats, although we don’t have quite the diversity as you. And hey, it’s really a kind thing to do for them in the cold. Lol. Ok..ducks on ice pics coming up next right? Love your comment, you really are so sweet to take the time to share with me your thoughts. I also love widgeons and it was the first time this week that I’ve ever laid eyes on one. Wish I could have one as a pet. Great photos as always! Last weekend I learned ducks have no nerves or blood in thier feet, so this is why they can stand on ice for so long… they can’t feel it! I never knew that ! How amazing is that. So I wonder if they feel anything if they lose a toe. Thanks for sharing. I have also heard of this and was going to stop the other week when I was down that way but it was pouring raining. Definitely going to make a trip there soon. Great shot of the little wigeon – a beauty. That is a shame for rain Joannie, so hope you get a chance to get back there soon. I’m hoping some Red headed ducks will show up. We all call it “The wall of shame” but we have all been there. One of these days we will end up at the same place, at the same time and get to meet in person. Love your photos. Thank you so much Jerry ! Indeed I’m confident that one of these days our paths will cross. I’m finally getting out more as last year was a tough one.